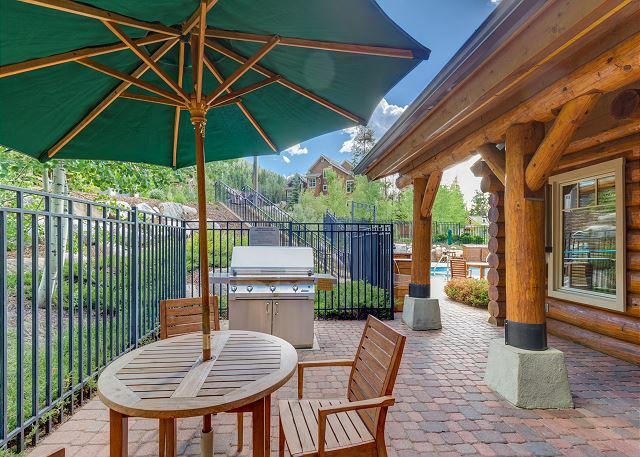 This spacious 1,491 square foot 3-bedroom, 3-bathroom townhouse sleeps ten and features vaulted ceilings and a kitchen with granite countertops and new stainless steel appliances. 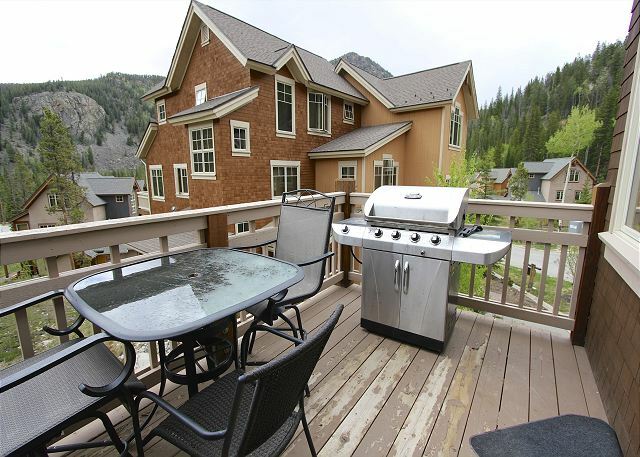 The private deck offers beautiful mountain views. The spacious entryway offers three sets of mounted hooks, a bench and storage cubbies for your convenience while coming and going throughout the day. Upstairs is the main level of the townhouse. The living area features large windows for plenty of natural light, a large flat screen TV and a beautiful gas fireplace. The sofa can pull out into a queen-sized bed, and there’s extra sheets and blankets in a closet. Just off the living area is access to the private deck. There’s beautiful views, additional seating and a gas grill. The full-sized kitchen is stocked with all the essential cookware and tableware to make a meal away from home and features granite countertops and stainless steel appliances. The dining area comfortably seats eight with chairs and two benches. The first of three full bathrooms is located on this main level. All bathrooms are stocked with towels and an initial supply of toiletries. 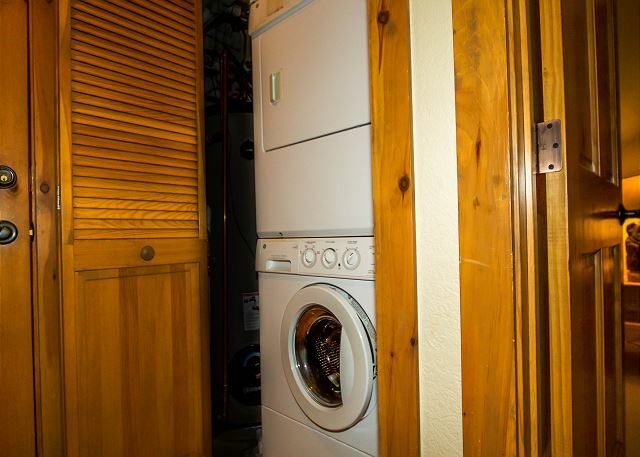 There’s a private washer and dryer, and laundry detergent has been provided for your convenience. 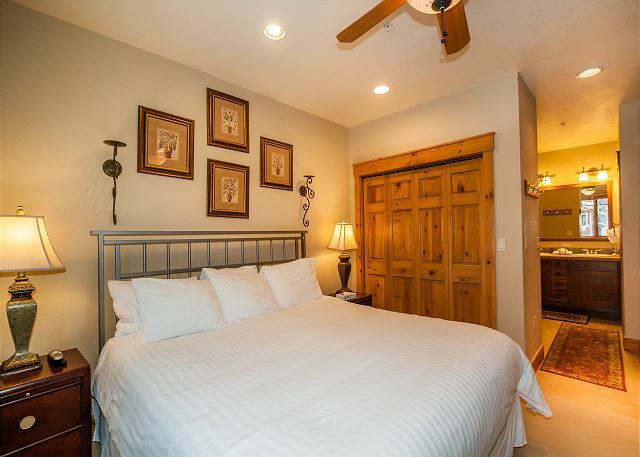 The master bedroom is on the main level and features a king-sized bed with Ivory White Bedding and a flat screen TV. 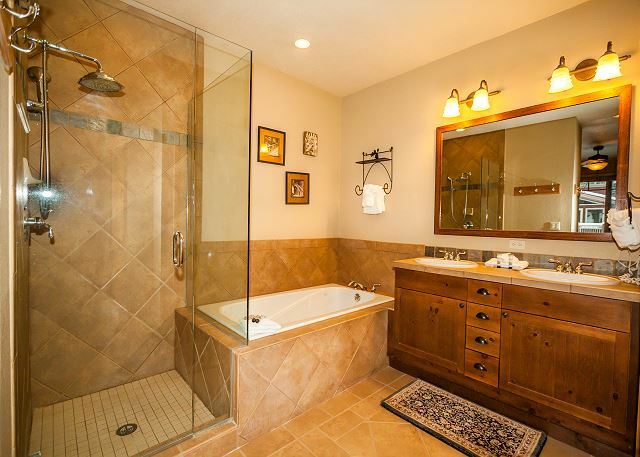 The gorgeous en suite bathroom has double sinks, a jetted tub and a separate walk-in shower with a glass enclosure. Upstairs on the third level are two guest bedrooms. Both feature bunk beds with Ivory White Bedding as well as a pull-out trundle, allowing each bedroom to comfortably sleep three people. 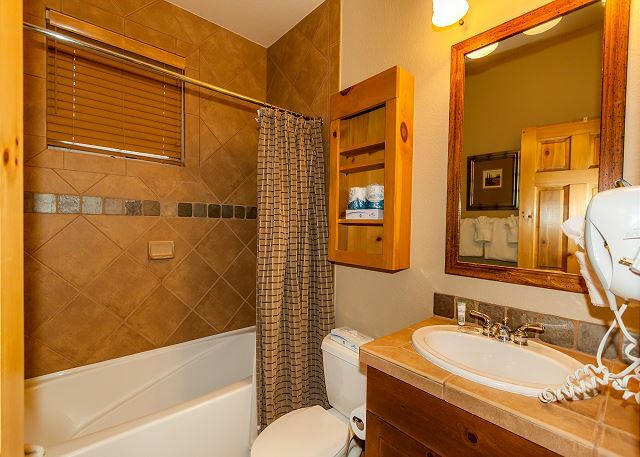 Both bedrooms also have flat screen TVs and share a bathroom that has double sinks and a shower/tub combination. **Ivory White Bedding** This property has been upgraded with ivory white bedding modeled after high-end hotels and resorts. Enjoy the luxury of a soft, white-striped duvet cover with a medium thick, high quality down alternative duvet. Featuring an uncompromising and industry leading standard of cleanliness, the duvet covers are laundered after each and every guest stay. The entire bed is remade with fresh, white linens for each guest arrival. It was not exactly clear as to how to check in to this property. Called the number saying I was locked out and never received a call from anyone. The email contained information but it was buried in there and wasn't easy to find. I've rented air b&b's before and the process was much easier. That would be my only complaint and it's on the property management company. Coming out for 20+ years. Always stayed in village at Keystone. What were we thinking? ?Had our children and grands with us. Could not have been a better experience for them. Neighborhood, safe, quiet, convenient, beautiful. 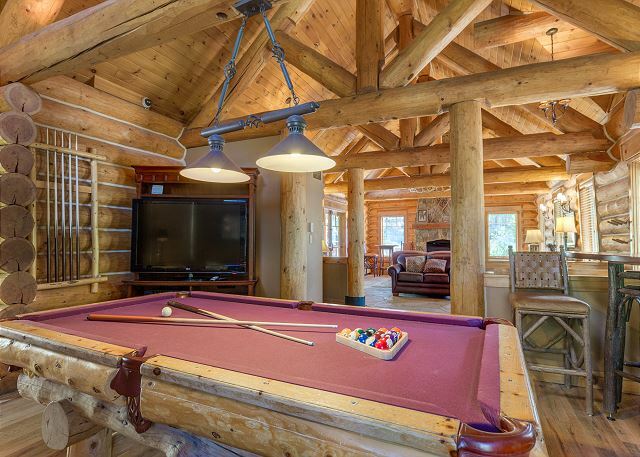 Minnie cabin had a great pool, hot tub, pool table and we used them all daily. House was comfortable, everybody had private space and we had a blast!Shuttle stop convenient, easy access. Only critique could be, have a printed out shuttle route schedule at home. Took a bit to navigate the actual website so this would have helped. Also, list some restaurants conveniently located with recommendations for familie. If we had traveled here before, that would have helped. Otherwise, great trip. We always stay in Settlers Creek when we ski in Keystone. Just slightly away from the crowd with beautiful views. And shuttle runs every 20 minutes and drops you closer to the gondola than you could park. This unit was very nice and had great view. It could use a little "freshening up"...minor things like pots and pans are very worn, knobs missing from washer/dryer, etc. But overall great vacation experience. Beautiful condo and view. Comfortable beds. Downfall was the general maintenance of the condo. Doors that do not lock (including the back door), broken knobs on the washer and drier, no soap dishes (yucky), not enough toiletries stocked for a weeks stay and numerous people (although staff was very very help and awesome! )Pool, hot tub and club was really nice as well!!! A very nice space that worked well with our extended family. Bedding and towels were awesome. Little quirks included finding the master power on (under the frame) of the TV, there not being enough serving bowls for large meals and only small coffee cups, and the lack of cold water in the master suite electric kettle would be nice, since the stove top kettle took forever to heat up for the tea drinkers. Using the bus just down the hill makes more sense than trying to park closer to Keystone (especially if you get a later start, because the parking lots can get full) We didn’t use the on-call shuttle, but I would recommend having the telephone number handy because the bus stops running at 5pm - or if you need to walk back, there is a lovely bike path that goes right into town for a 12 minute stroll - starting just up the hill and to the left. We enjoyed the hot tub, pool and pool table! Our cabin was clean, warm and comfortable! The ceiling fan in the living room was pretty dusty, but we didn't need to run it. Couches and beds were all very comfortable. The jacuzi tub would have been better if the cold water worked for it, but we just poured cold water in a bucket and dumped it in. We were overall very pleased, didn't want to come home! We already miss it! Fantastic fall break in the mountains with the family. We really enjoyed fall break up in Keystone. The neighborhood was very quiet and we had the pool and hot tubs to ourselves. The property had plenty of beds for our large family. It was also well furnished and had all the kitchen supplies we needed. Very nice property near where we needed to go for the reception of the wedding we attended. Great townhome, however the refrigerator was broken and there was a mini fridge in the living room that we had to use but it would not hold all the things we needed cooled. Asked if they could bring us some ice but never came. Thank you for the feedback. We appreciate your understanding that sometimes repairs are needed and making due with the small refrigerator. We apologize that we never responded to your request for ice. We hope that you enjoyed your stay otherwise. Great location with a beautiful view from the porch. We traveled with 5 teens, the set up was perfect for this with two bedrooms and a full bath upstairs. We would stay here again for sure. 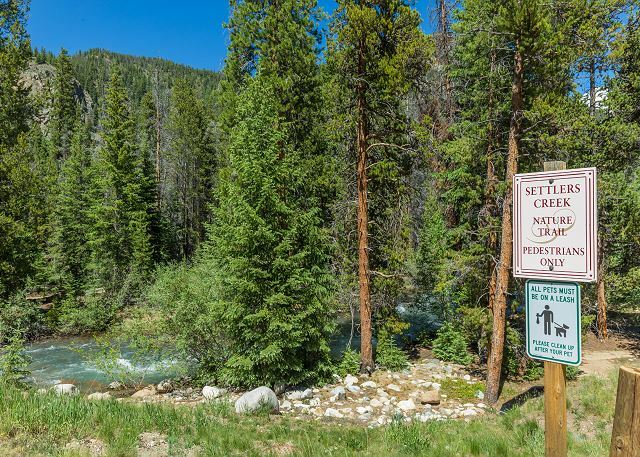 Keystone in the summer has plenty to do if you enjoy the outdoors. We recommend taking the lift to the mountaintop to enjoy a short hike and the games the have set up. Everything from the communications to the condo itself was above expectations. I received very clear instructions on how to check in, and every time I called someone picked up the phone. We had an issue with the refrigerator at 10pm and someone came to take care of the issue within minutes. Everything was comfortable and Summit County was responsive when we had a problem with the TV and needed more propane. Bathrooms were excellent. Kitchen was functional and the big dining room table worked well for cards and meals. Close to mountain biking and a couple good trails basically right out the front door. Under 60 minutes to great mountain hikes. Clean, convenient, in a beautiful setting. Everyone liked the place and the setting. 8 people is definitely maximum. We were only there for one night but wished we could have stayed longer.the only issue we had was it was really warm upstairs, even with the windows opened and the pillows were not that comfortable. Also, the pullout bed was pretty uncomfortable. Thank you for the feedback. In the summer we recommend setting up fans to create a cross breeze. This will pull hot air out of the home and pull in cooler outside air. We're glad you enjoyed your stay otherwise! We had a fantastic stay in Keystone! 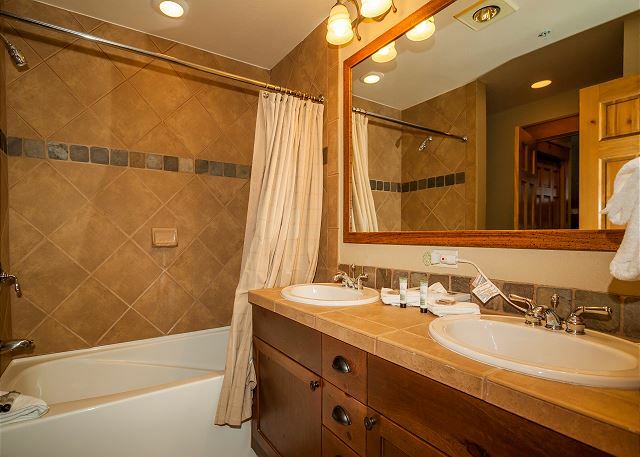 The town home was clean, quality was excellent, and privacy was amazing! Everything was organized from the check in to check out. Tons of instructions and communication before, during, and at check out! We seem to make it to the ski resorts every year during ski season, however, we had yet to come during the summer months. 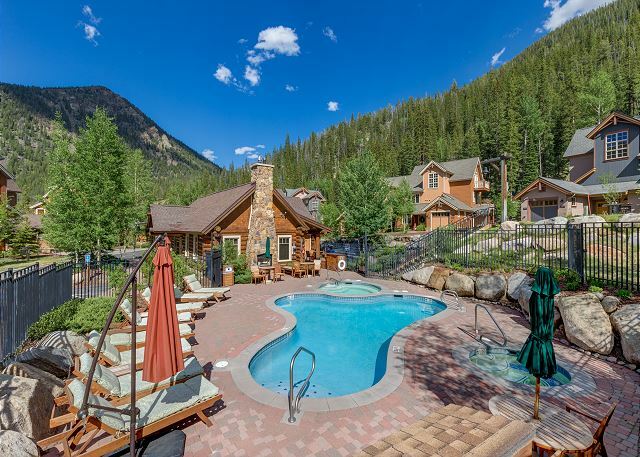 This stay has us just about convinced that summer is better than winter in Keystone! Miles of running trails, miles of hiking trails, peaceful, quiet, almost like a private get-a-way. We will be back for sure!! Very happy with our stay here. Had a grad school friends reunion and it was a great time. 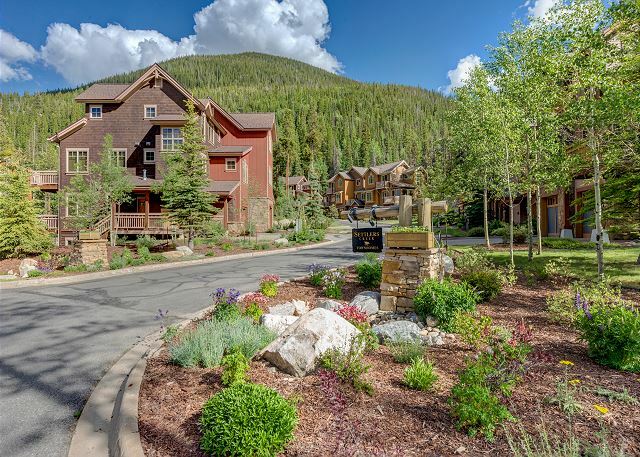 Keystone/ Breckenridge is a beautiful area in late May with plenty to see and do. The location of the place was great and it was spotless when we got there. Very happy and definitely recommend to all. OMG!! It couldn't have been any better. My family & I loved this place. Location was great, the townhouse was comfy, clean well stocked with kitchen supplies & towels. Everything you would have expected, we got. We were even able to check in early which was very well appreciated. I would definitely stay here again. Other than some confusion regarding checking in, the townhome was clean, comfortable, well-equipped, with beds for over 15! (There were only two of us on this stay, so it was a bit overkill for our needs.) To nitpick a bit, some of the light bulbs needed replacing in the ceiling lights, and the kitchen was generally poorly lit. Nothing that would be a deal breaker. Very nice property for a large number of kids or young adults. Carpet, dining room table and coffee table are worn, but you don't have to worry about your kids putting the first scratch on something. Garage was great. Didn't have time to checkout the pool/club house. Review by Sarah B H.
My earlier review stated that I was not happy with the mandate of a $5 charge for every room key not returned. So far I have not been charged. If I do not get charged for lost room keys, then the whole experience was great accept for cold showers that were promptly resolved when my husband complained to mgmt. . We stayed in 4 condos that were all clean and roomier than the pictures appeared. Alan was very helpful and understanding to let my son hold his wedding rehearsal in the pool table area. That worked out nicely since some folks enjoyed playing pool while others visited and ate. There was a TV for people that were so inclined. Thank you for making my son's wedding & our family reunion a success! I booked this place for 8 girls to stay in for a bachelorette party. The location is great. 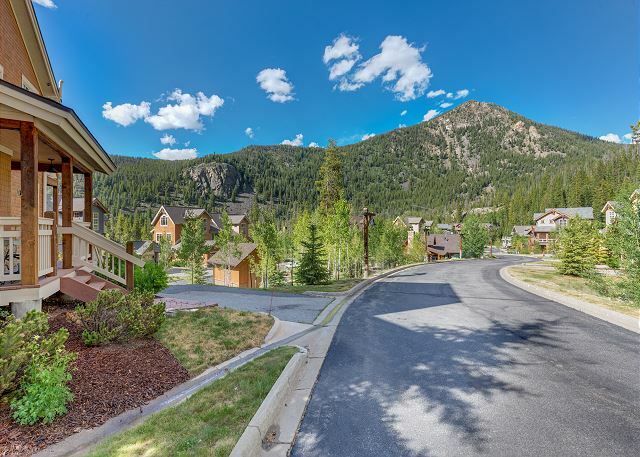 It is in a cute little neighborhood full of mountainous views. I could tell that it would get pretty warm in there during the day since there are so many windows but we lucked out that it was a cooler weekend so opening the windows gave us a ton of cool breezes. The beds and bathrooms were perfect. We cooked several meals in the kitchen with no issues as some of the reviews stated previously. All in all, a great stay! Great location, clean facility, fantastic view of the mountains. Overall great experience. We had an excellent overall experience renting this Townhouse for a Bachelorette weekend away! Two of the bedrooms feature double-sized bunk beds with a pull-out trundle, so it would be important, if 2,3 or more are staying in each of those rooms, that they have a comfort level with staying/sleeping together. Our stay at Settler's Creek was great. The place is beautiful, and so is the location. We utilized both the pool and spa areas, which were very clean and upkept. We also found many beautiful hiking trails that were no more than 20 minutes away. The place itself was extremely clean and was stocked with everything we could possibly need and more. Would highly recommend! This is the second year we have stayed at this property and we love it! It's always very clean and the kitchen has everything we need to cook. The location is close to the pool which is perfect. Nice place to stay. Convenient location to pool and hot tub as well. Lots is stairs only drawback and small water heater-not enough for a bath. We loved our stay at this property. We were there during the off-season, so it was exceptionally quiet and peaceful. Staff at SCMR were excellent. We would stay here again in a heartbeat. The townhouse was very comfortable and had everything we needed. I highly recommend it. The check in and check out process were really convenient. We loved the pool and hot tub at Minnie's Cabin just a few doors down, next time we'll bring burgers and brats to grill. The ski shuttle stops every 20 minutes throughout the day which made it really easy for the kids to get themselves to and from the slopes. The carpeting could use some cleaning and there were a few small inconveniences that could be easily fixed and were reported to management, but nothing that significantly affected our enjoyment of the rental. Given the proximity of the shuttle and the regular pickup/dropoff, you could easily meet back at the rental for lunch if you did not want to spend the $$$ at the Summit House food court at the top of the gondola. I would definitely stay here again but recommend a minimum of 3 nights. Our vacation rental was great!! It was everything we expected. We had to pick the keys up from a lock box that was not too far from the rental. We stopped in Mountain Sports which was right next door and received 25% off of our ski equipment rental when we mentioned SCMR. Overall the location was great. Very close to River Run Village which has a ton of things to do. We drove down to Dillion which has grocery stores and a movie theater. It was less than a 15 minute drive. 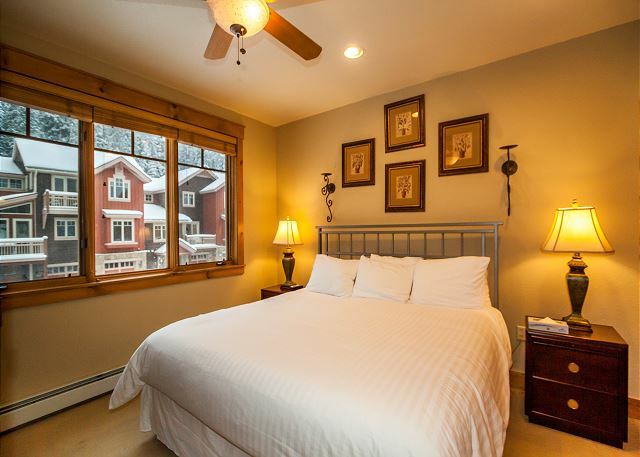 We will definitely be renting this property on our next ski adventure. Great place in a great location. This room had everything that we needed with a well equipped kitchen, sufficient sleeping space, and is was very comfortable. 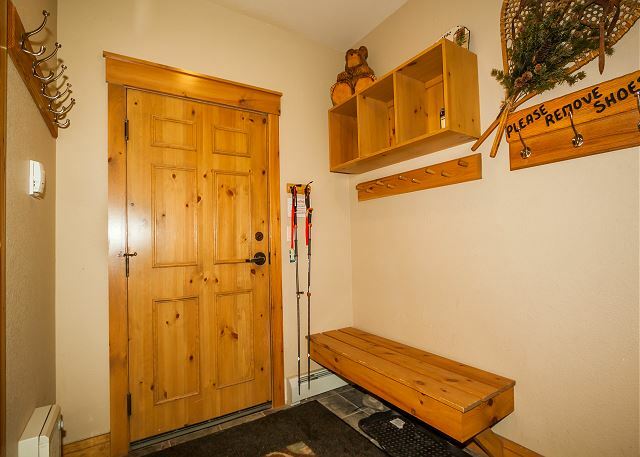 The nearby amenities were great, and the shuttle to the slopes was very convenient. We stayed here from December 31st to January 6th. 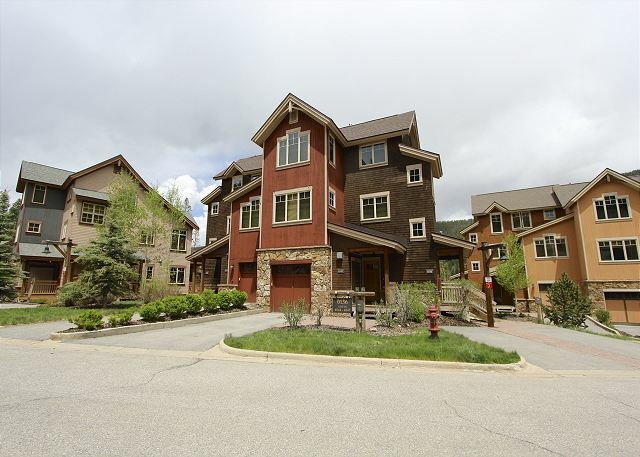 The home is beautiful, well stocked with a fantastic kitchen, great views and in a beautiful neighborhood within Keystone. Dillon is about 10 minutes away, which meant we had shopping and restaurants very close. The Keystone ski bus literally passes in front of your house, so you can hit the slopes without having to drive anywhere. We got hit by a big winter storm, and local teams would come at least 2 times a day to clear the snow off the driveways, which is a massive benefit!The only down thing I would say about the property is we could really never get the thermostats to work properly in the home. We were usually way to hot, so even when we had temperatures near 0 degrees F, we would have to crack a window in the living room and the master bedroom for about 10 minutes to cool everyone off. Sometimes the rooms on the third floor would be baking and the living room would be freezing, so we really didn't get it. Spent our Ski trip in this cabin with 9 guests in total. We were all happy with our stay, had a great time, and would definitely recommend it. A solid 3 to 3.5 star (Scale of 1-5) townhouse. Comfortable accommodations for up to 8 assuming a max of 4 adults.Easy check in/out. Seamless and faNiantic. Will return. Overall it was a great experience! Plenty of room for our three kids, beautiful views of the mountains!! Accommodations were amazing! Would definitely rent again. The location was great and the townhome was nicely outfitted with everything our family of 4 needed for a great stay. The rental agency staff was friendly and helpful. The only complaint I have was the noise that the circulating pump made. This is the pump that circulates water through the radiators in the townhome. It ran every 5 minutes and was extremely noisy...enough to wake you in the middle of the night. Thankfully the weather was warm enough to shut it off. Get it fixed! This place had everything you could possibly want and more! Hiking, biking, shopping, beautiful scenery! And the condo itself, immaculate! Appliances could use updating, but other than that, we absolutely loved our stay! Definitely will return! We loved the vacation. The house was beautiful, well equipped, and full of amenities. We would recommend the rental unit to anyone. The townhome was beautiful and well stocked. It was a great get away from the hustle and bustle, especially with the time of year (May). Because it was a warmer month the townhome was extremely warm when we arrived. We just opened some windows and it cooled down quickly. Spent 1 night here with work colleagues. The townhouse had ample space for everyone, a nice kitchen and deck, and tv and board games for entertainment. Really enjoyed our stay. Pros:Beautiful place.2 rooms with a twin bunk bead and a trundle bed under each, 1 room with a king size, and 2 couches made for a very comfy stay. Nice grill on the back deck.Set up well with cook wear, spices, playstation 2, sleds, and basic toiletries. 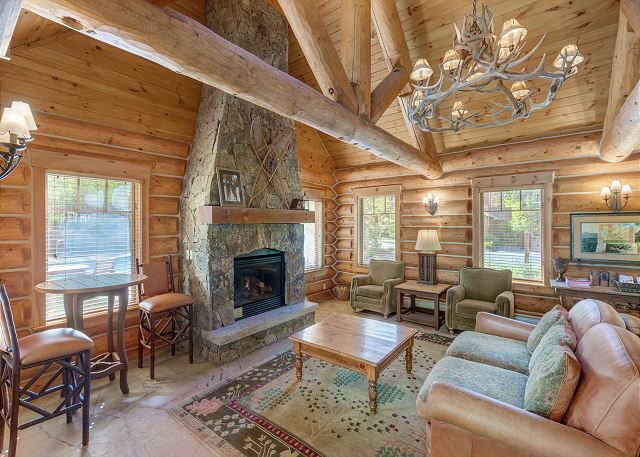 Fireplace adds a comfy environment Less than 5 min from the gondola. Cons:Had trouble accessing the pool area by the club house to swim and play billiards. Parked 2 cars at the townhome and had to park 2 others by the club houseLittle bit icey at the drivewayLots of stairs to access living space and rooms (3 floors to the rooms)Directions given on the printout were good except the last turn onto Tip Top Trail it gets a bit confusing if you are not looking at gps or a map.Wish I could have stayed longer! What a wonderful time our family had at this very clean classy well decorated condo! We felt like it was well equipped with all that was needed to make for a very pleasant stay. From different kitchen utensils, pots pans, spices and such to having every room stocked with plenty of extra blankets and pillows, it was great! One of the favorites was relaxing in the deep jetted master bath, this was a real treat! Our trip was for four friends to meet and play golf in the mountains and to do some light hiking. The directions to get the key to the property and to the property itself were spot on. The property was as advertised. Suited our needs comfortably. The only issue we had with this property was that the garages were too small to fit our vehicle in. Plus there is no 'on street' parking for visitors. Other than that, the views were great and the stay was quiet. We really enjoyed our stay in this very well appointed home. We were impressed with how clean it was, and everything was in very good condition. There was plenty of room for our family of four and the layout was very conducive to spending time together, with an open floor plan. We enjoyed walking on the trail just outside the house and the close proximity to great hiking (Loveland Pass is just a few minutes up the road). We would definitely rent again. 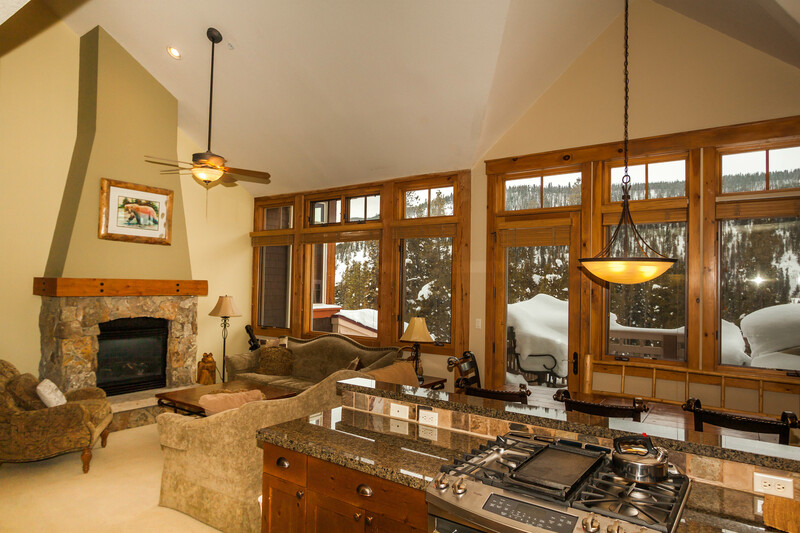 We stayed for a 3 day ski weekend with our family (8) before Christmas 2014 at this wonderful property! All I can say is it's so much nicer than the photos show!! It's huge...layout is great, you can dump all your ski gear on racks in the garage. They even had a Xmas wreath on the door...nice touch:) Lovely amenities...fully stocked kitchen which surprised me as I did a lot of cooking and I literally bought half my kitchen with me...who knew?? They had every appliance known to man!!! Crockpots, blenders, food processors etc...plus tons of spices and herbs...wasn't expecting this at all ...awesome!! The balcony had a really nice grill...which was another pleasant surprise as the photos look like only the shared communal club house had one!! The master suite was very comfortable and spacious, the other 2 bedrooms had bunk beds that were each full size, plus a great pull out sofa sleeper,we could have fit in a couple more guests, comfortably. 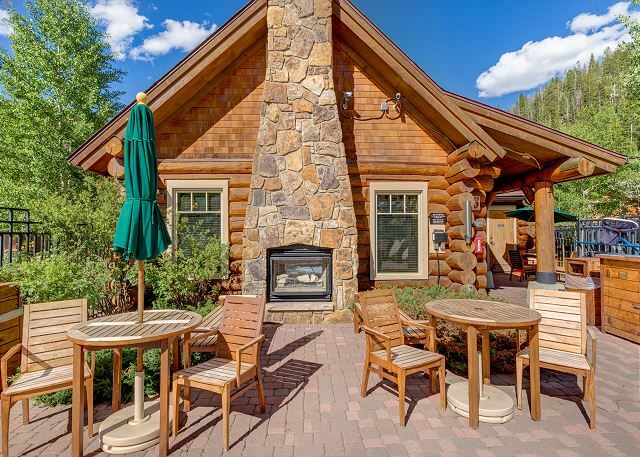 The clubhouse was a short 2 mins walk from the property and was just perfect...heated swimming pool, 2 hot tubs, outdoor fireplace, pool table etc. It was decorated with fresh greens on the mantel and a 12 foot fresh Christimas tree..we headed there every evening...very festive...couldn't have been more perfect!! Shuttle bus at the end of the street was great...just a short drive from the slopes....take not rent inside the resort, you get a 25% rental discount from Mountain View Sports...who had a great friendly staff, they are across the street from the resort / ski slopes. Anything you buy or rent at the resort has a steep 12% added tax Yikes!!! Only problem we had was when we first arrived the entire condo smelled of sewer gas...and it was strong! My handy husband was convinced water needed to be run in the kitchen went away the next day. Overall: Excellent stay and experience, loved it:)....will definitely be back next year!! We stayed here with a family of four and it could have easily slept 9 or 10 people. The place was very comfortable and clean. The outdoor hot tub was fabulous after a long day. We love Settlers Creek and the Unit was great. The house we rented was immaculate. Beautiful views, nearby hiking and a nice clubhouse. This is a great place to stay in the mountains. The townhouse is spectacular and very clean with up to date features. We had 3 singles staying here for the weekend and while the bunkbeds are full size (very nice) the lower bunks do have very low clearance for adults, but the overall house is well set up for a large group to be able to stay. I would definitely recommend and stay here again. Wonderful home in a very convenient locale. Plenty of room for us and our 4 children (plus one uncle). If available, we would definitely stay again! The town house was excellent. It had everything that a week of skiing/snowboarding renters could want. The amenities were great, nothing was a miss. We arrived to clean and accommodating town house and I have no complaints. Keystone resort is run well with shuttles running to and from the mountain 3x an hour during the day, which makes life convenient not having to drive. My highest compliments to both the Condo management and the resort. I will see you next year. The website needs better pics, this place is much bigger than it appears on the website. I would recommend this place for family's, couples and groups. Everyone had their own bed, 7 total plus one pull out couch. Very nice home, it was hard to return to reality. No complaints at all. The master suite was amazing. Was very pleased with the property! Would rent it again for future trips to Keystone. Quiet area with a short drive to lifts/resort/town. Well maintained and very modern/comfortable. A great experience! I'd stay there again and would recommend it to anyone skiing at Keystone. The place was clean and larger then expected. It does have a full flight of stairs to enter the mail floor which we don't remember seeing in the rental description. We smelt gas in the bedroom the first night and the 24 hour emergency was friendly and very quick to respond. The fire department came to measure the level and explained it is due to pressure build up because of the elevation. Everyone was very friendly and made us sleep well knowing the issue was resolved. We really enjoyed staying at this place! The condo was super clean and well stocked with everything we could possibly need. Also - the pool was under maintenance so we weren't able to use it but the management company gave us a key to another pool in town to use and the kids loved it because it had a slide!! Would HIGHLY recommend staying at this place!! I'm hoping we will again soon! We loved the layout of the townhouse and how many people could sleep there. There were cheerios under the kitchen table - other than that, it was clean. August 18, 2013This our 2nd summer visit in a row. We are a family of four. Upon arriving, the kids each went up to "their" rooms and settled in. This place can't be beat. We feel right at home. Great location, close to pool/hot tub at Minnie's Cabin. Great view, lots of room and amenities. We love it here. Thanks for keeping it affordable. Hope to spend more time making memories as a family in the future. We were very impressed with the house and the property managers. A first class operation from beginning to end. The second floor of the house is very nicely decorated and the den, kitchen and master bedroom are very beautiful!! They have extras in the kitchen and den that you don't see in every rental like games, books, serving pieces that make you feel more at home. The two bedrooms upstairs are very basic and small but they were adequate for our needs. We LOVED Minnie's cabin and the proximity to the pool. The location is great too. You feel like you are away from it all but a short drive gets you to so many places. We hope to stay here again in the future. Check it the hike a street over by the stream. Our family rented four units in Settlers Creek for a family gathering and we had such a wonderful stay. 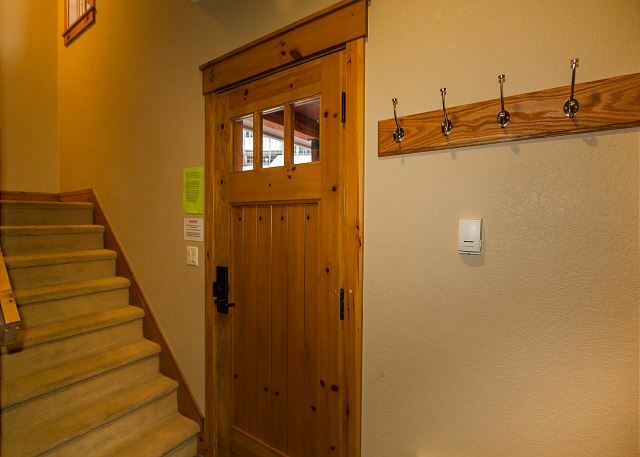 This is a beautiful townhome that is so well equipped with everything we could imagine for our stay. Great beds and linens. Minnie's Cabin was a perfect place for us to meet and grill dinners. 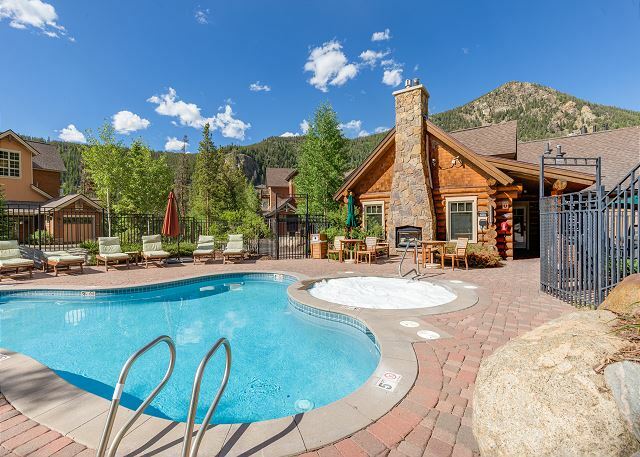 The pool and hot tub added to the fun.Settlers Creek is in a beautiful setting, close to Keystone, and a perfect place for a family vacation. I would highly recommend this townhome. Thank you!!!! Really enjoyed the cabin - it had everything we needed for a great family trip. The outdoor pool and hot tubs was very close and we had a great time! We had a great time in Keystone. The Condo was perfect for our family. It had plenty of room for us. It was stocked with the necessary items to be able to cook. It was very "Homey" We would definitely go back and stay there! The location was perfect and we enjoyed the club house, hot tub and pool table. Every thing was PERFECT!!! Thanks for allowing us to have a wonderful spring break! My brothers and I went here for our annual ski trip. We have been visiting Summit County every winter for the last 20 years or so and have stayed at all of the usual locations. We usually book at Gateway but they were full so we looked elsewhere, and we're glad we did. We fly into Denver, rent a car and drive out. We always stay at Keystone but ski Copper, Breck, Vail, Keystone, A-Basin-basically we look at the snow reports in the morning and follow the snow. Keystone is centrally located to all of the area resorts. This place is back out of the way a few minutes, but if you rent a car it's no problem at all. There is bus service too but we didn't need it. Condo is roomy, 3 full baths, beautiful big master, big comfy bunk beds and nice big flat screen TVs in the living room and bedrooms. Mini's cabin is excellent. The two hot tubs were nice. Saw kids using the pool in 10 degree weather but that's not for me. Pool seems awfully small for summer guests, but overall this place is excellent, and over the years I've seen them all. 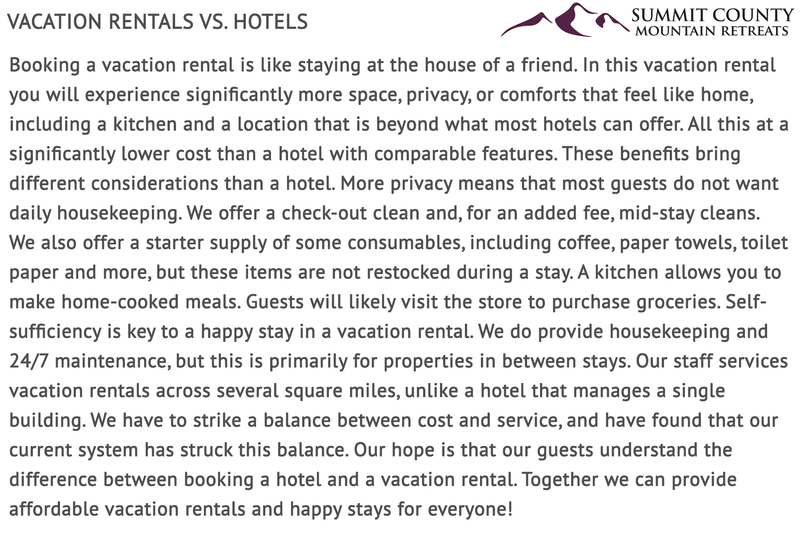 Thank you for the high praise and for staying with Summit County Mountain Retreats. We had a great time and the place meet our needs perfectly. Thank you for staying with Summit County Mountain Retreats! This unit was so beautiful!!! I will keep it as a favorite! Our family of 5 with kids ages 8, 6, and 6 loved the condo at Settlers Creek. The 2 upstairs bedrooms for the kids each had a queen bunk with a trundle. Their rooms were connected through a Jack and Jill bath. They loved having their own space. 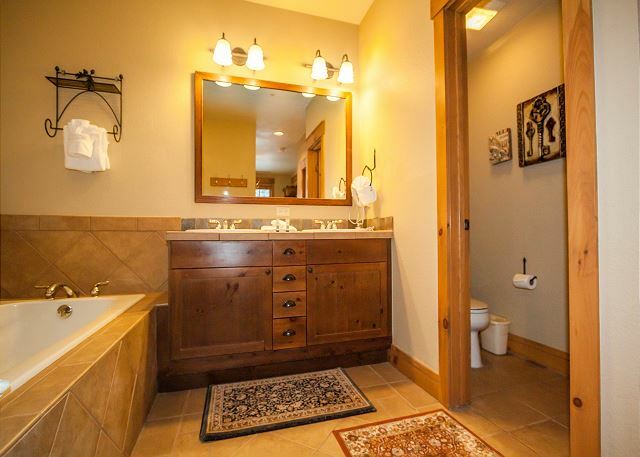 The master was big with a beautiful bathroom. Beds were comfortable and sheets were nice. The eating area has a big table and was perfect for us. I think you could seat 8 easily. We did have a problem with the oven not working. I called the management company and they sent over a maintenance guy within 30 minutes. He was very friendly and took care of it for us. There is an outdoor year round pool with 2 hot tubs just 3 units down at Allie's Cabin. 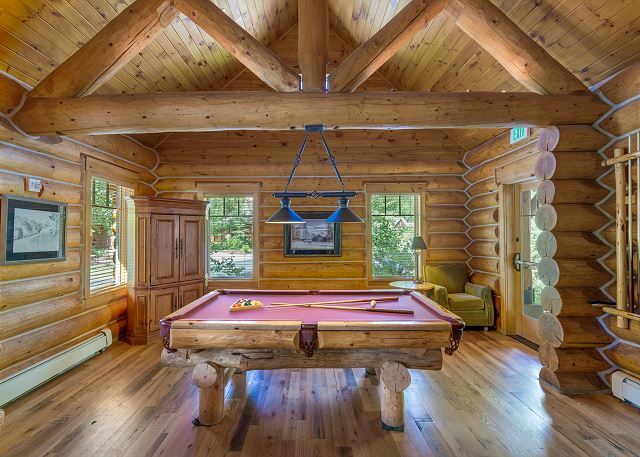 The cabin is for Settler's Creek only and has a pool table and place to hang out. The Keystone shuttle stops at Allie's Cabin so getting to the slopes and other areas of Keystone wasn't a problem. We loved it so much we started looking for units for sale in Settler's Creek. 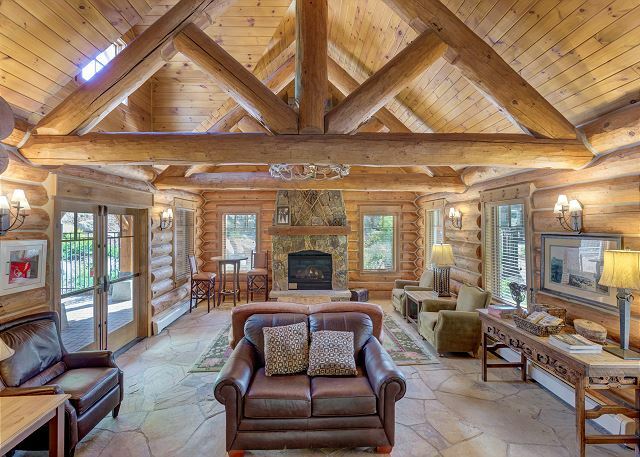 Peaceful, beautifully appointed home in the woods. This property is huge! 3 bedroom, 3 bath, 4 Tvs! Lots of windows. Movies, games, game system! The kitchen had everything you needed X 3! Spice rack, baking supplies, gas range! Gas grill on the porch. Luxurious master bed/bath. Everyone had there own space! A home away from home! Garage! Minnie's cabin was great too! We had a ball playing billiards and enjoying this building. The pool and hot tub were beautiful, but out of order for us! We can't wait to come back! Worth every dollar at anytime of the year. Amazing deal in off season! Thank you for the oasis! We had a wonderful time! The condo was beautiful and would highly recommend it. 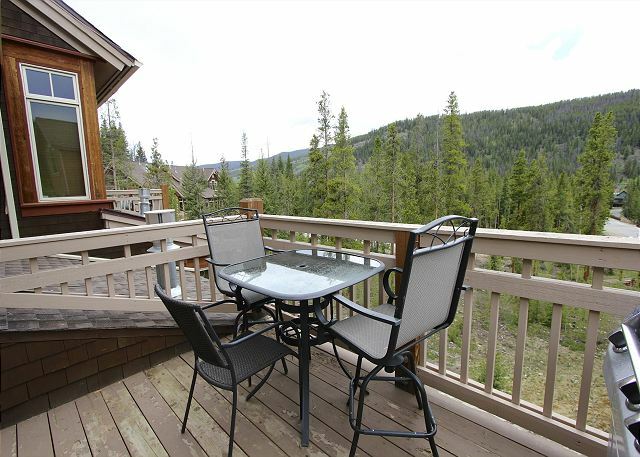 This is a very nice town house about a 2 minute drive from the main village in Keystone. The unit was very clean and nicely decorated. I have 3 young children and they enjoyed the heated swim area about 2 buildings down from the town house. The only issue we had was that the unit does not have air-conditioning. The weather was nice enough to open all the windows and the unit was very comfortable. The problem was that all three of my kids still nap and they would wake up when cars drove by or people were walking over to the pool area. When we closed the windows, the rooms started to warm up. We figured it out, but just something to think about if you have napping children. We would definitely come here again. Property and location exceeded expectations in every way. In a few high traffic areas the carpet needs to be cleaned or replaced and it would be nice to have double beds instead of bunks but overall we had a great time. We stayed here at the end of March 2012 and had a wonderful time The unit was very clean, modern, convenient to Minnie's cabin and the shuttle stop for Keystone. There was plenty of room for 4 of us and can probably comfortably fit 7-8. Other mountains are not far - about 10 min drive to a basin and 20 to Breckenridge. Views from the townhouse were pretty. We decided to stay here as we felt it would be quieter than River run (which it was, very peaceful) I would definitely stay here again. Nice place over-all - lots of stairs. Was hoping for curb side pu for the shuttle, but the stop was not far. Common areas were great, plenty of room, nice accomodations. Would reccommend and stay there again.